As I get older (just had another birthday) I am reminded that the son becomes more like the father each year. Dad, this is meant to be a compliment. Really. For sons and daughters alike, this is the curse of every generation that it doesn’t like to admit. Nowhere is this more public than with technology. Every generation looks upon the next one with a degree of confusion and disdain regarding technology. For my generation two examples are texting and music. My daughters are model residents in the 24/7 texting community. Landline phones are for old people. As for music, the hits, hooks and downloads have replaced the album. 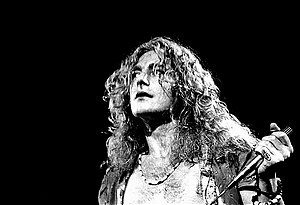 Take Led Zeppelin’s The Song Remains the Same. The marketability of committing an entire album side to one song, 27 minutes of Dazed and Confused, doesn’t stand a chance in a world of SSAS – Super Short Attention Span. Don’t misunderstand me. I don’t see technology as an either or choice. I embrace it. On my terms. I also embrace technology with the sales funnel. The technology I refer to is mainly CRM because CRM is often perceived by sales leaders as the equivalent to ‘the funnel’. When I’m prospecting I’ll ask a VP of sales to tell me about her funnel or funnel process and the reply often begins with “we use XYZ CRM.” If this sounds like you, this perspective could be costing you a lot of money. Let me suggest a Funnel Principle perspective. CRM Technology has supported funnel management process mainly in two ways: visibility and reporting. With visibility salespeople and managers and VPs of sales can see any funnel at the click or two of a mouse. Reports can be run on everything like the value of the funnel (TVR), or opportunities by stages or size or geography or key accounts, and more. It’s powerful information. The fact is many funnels have ‘bad data’. Reps routinely place opportunities at the wrong stages of the funnel. I’m not indicting sellers; rather, they deserve the benefit of the doubt. They’re often doing the best they can. But without the right funnel process the placement task is hard and open to too many interpretations. It’s a problem with minimal downside when it’s one funnel that’s off. But when most of the funnels are not real it’s a nightmare on Elm Street for the VP of sales. Bad funnel data is not an indictment of technology either. Don’t shoot the messenger. It’s garbage in, garbage out. It’s about selling behaviors. Therefore the fix for bad funnel data needs to help sellers execute the right behaviors. They need the right funnel process. An example of this is funnel stages in the CRM. Simply changing the stages, even to reflect a customer buying process like our BuyCycle Funnel™ will not by itself change selling behaviors. Sending a memo to the salesforce telling it to start selling this way would be about as effective. Sellers need context, training, coaching and reinforcement to sell to the customer’s buying process. It’s a project because you’re undoing old habits. Many of these old habits are older than, well me. Another example is having automated reminders and coaching tips embedded in the CRM. This is an awesome idea that has been rendered ineffective by the lack of context, training, coaching, and reinforcement. Both have value but one must precede the other. Wisdom says we’ve got to strike the right balance between new technology and how we did stuff before the technology. It’s more than about balance though. It’s putting technology in its place. It’s not asking technology to replace proven means for driving selling behavior. This technology stuff has a lot of mojo. If we’re not careful we’ll miss the real value it can provide.